Welcome to the family, Maey! | Veterans Management Services, Inc. Welcome to the family, Maey! VMSI is excited to announce the addition of Maey Salazar to the VMSI Corporate Team as the Director of Human Resources! Since coming onboard, we have seen Maey in action as she has gotten to know our employees, contracts and processes! Maey brings over 17 years of HR experience and has supported companies similar in size and industry to VMSI throughout her career. Along with her knowledge of payroll, benefits, annual reporting and providing guidance to senior management, Maey is also adept at improving and implementing HR processes. Here at VMSI, we always look for the most effective methods and we welcome her feedback as we strive toward a more proficient future! 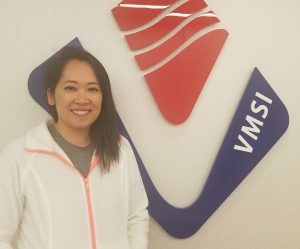 Check our her bio on the VMSI team page to learn more about Maey’s background and hobbies!